A time to remember and celebrate the life of Linda Penny will be from 2-4 p.m. Saturday, Sept. 8 at Cane River Commissary, 4191 Hwy 494, Natchez. 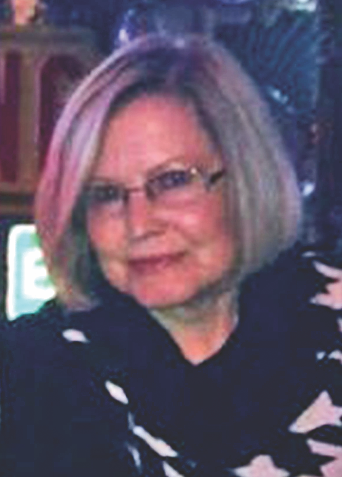 Linda, 75, and a resident of Benton, passed away Monday, Sept. 3, 2018 in Natchitoches. She was born on July 29, 1943 to Earl and Rose Benton in Healdton, Okla. She was preceded in death by her parents; siblings, Betty Walker, Jimmy Benton and Billy Earl Benton; and a son-in-law, Mike Berry. She is survived by her husband, Joe Penny; daughters, Robyn Johnson and Melissa Berry; siblings, Roger Benton, Jerry Benton, and Mickey Benton. She was blessed with five grandchildren, Hannah Rose Roberts, Thomas Roberts, Matthew Berry, Meredith Berry and Molly Berry. Linda earned a master’s of science in nursing degree from Northwestern State University. She worked for over 35 years as a cardiac nurse practitioner at Overton Brooks VA Hospital in Shreveport. Taking care of our nation’s veterans was so very important to her, so we ask to honor her life, in lieu of flowers please make a donation in Linda’s name to the Wounded Warrior Project by mail to Wounded Warrior Project , PO Box 758517, Topeka, Kansas 66675-8517 or on-line by visiting https://support.woundedwarriorproject.org.